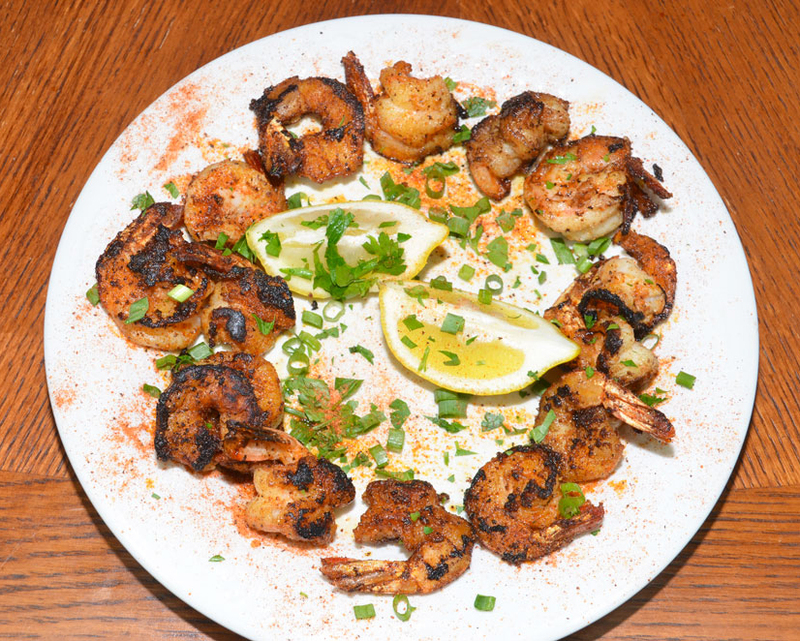 The secret to Bronzed Shrimp is searing the outsides of the shrimp over very high heat without burning the insides. 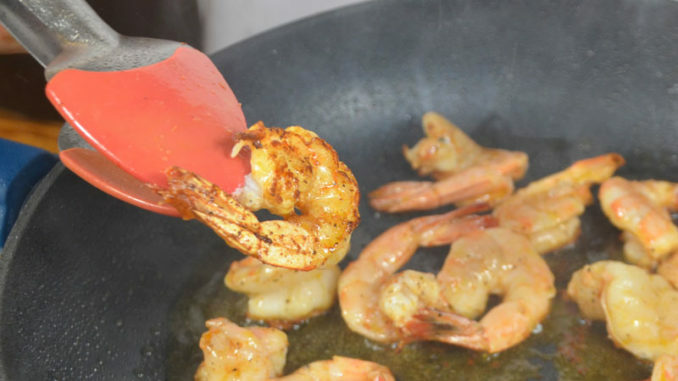 With the tail segment of the left attached, Buddy’s Bronzed Shrimp make an excellent finger food. 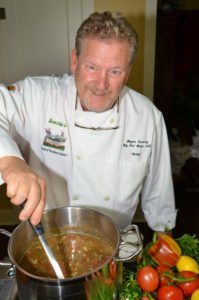 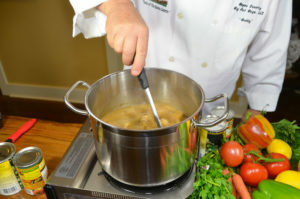 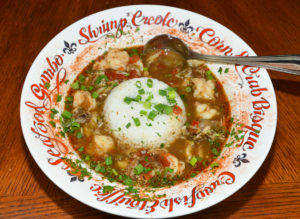 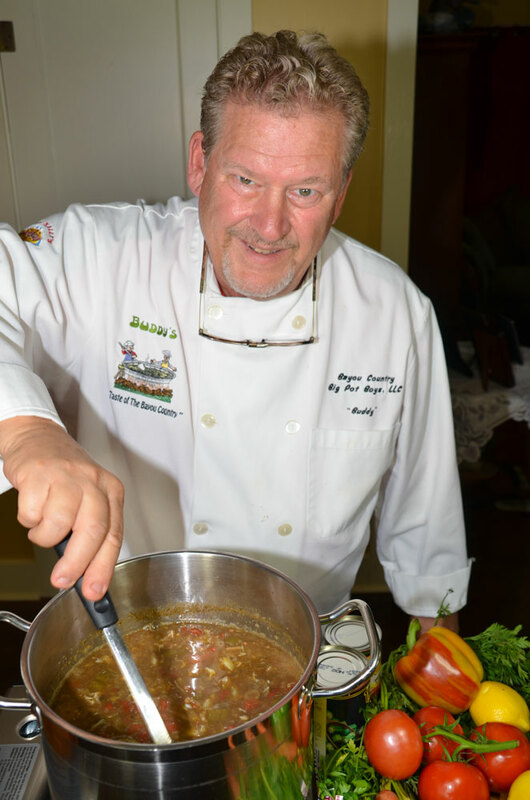 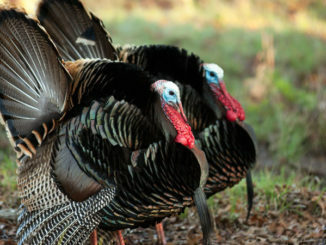 Allowing time to simmer the gumbo before adding the seafood is the secret to developing the full taste of the dish.